Wayland, MA - A beautiful town that has so many things to do. If you're a nature person, you can walk around the Sudbury River that flows through. If your a person who likes sightseeing, you can walk down their many trails or take a walk through the Cochituate Shopping Center. One of the most sought after services in Wayland are the services of a quality siding contractor. 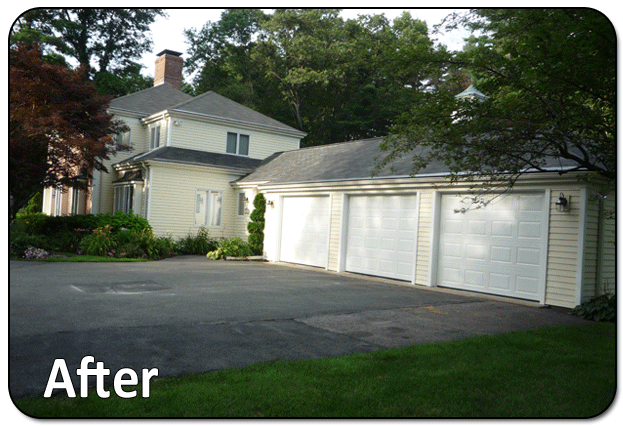 The home below is a local Wayland home that went under a great transformation. 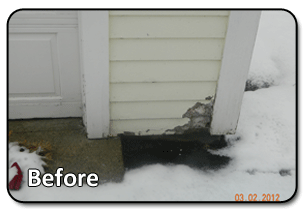 The homeowners were growing weary of the rotting Masonite siding that plagued their beautiful home, but decided to take this problem by the horns. They began researching for new siding and came across Everlast Composite siding as an alternative to fiber cement siding. After meeting with one of our team members, the couple fell in love with the product and quickly moved to set up the project for this past summer. 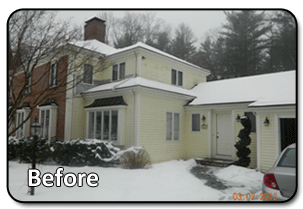 They chose the 4.5-inch Antique Ivory clapboard and added Low-E insulation on their entire house. Everwrap was used as a moisture barrier and everything was held down with stainless steel, ringshanked nails. We also painted their window and door frames and soffits. 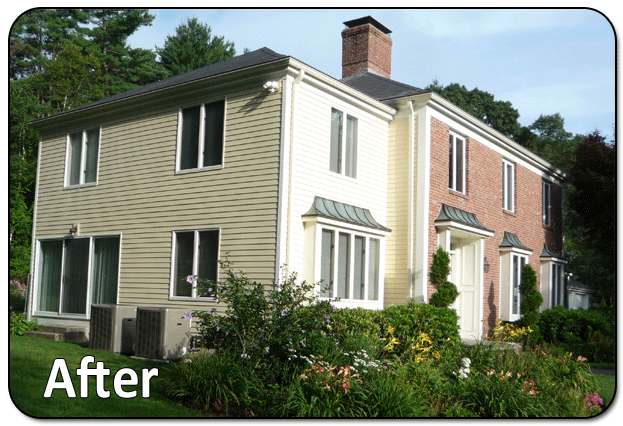 It was a perfect finish to a transformation on a home that badly needed a siding replacement. The homeowners loved the new look of their home with Everlast Composite siding and now their home is the eye candy of their neighborhood. Natick, MA - One of the finest towns in all of Massachusetts, where many homeowners take pride in their home's..